My name is Anett, I’m a fine art photographer based in Dublin, Ireland. Photography is my tool to create my own world through my images. I often take self-portraits, because by using myself I can really push my boundaries to improve and become a better photographer. Art has always been one of the most important things in my life. I have been drawing and painting since I can remember; I think the inspiration came from my grandmothers. Both of my grannies are very good at drawing and handicraft, their passion about art was a real encouragement to me to start drawing when I was little and it became a huge part of my life (without even realising it). I got more serious about drawing and painting in primary school, mainly because I had an amazing art teacher, who gave me all the help I needed to further develop my skills. Friday was my favourite day in primary school, because I attended an extra-curricular art group with my best friend every week. We usually stayed after classes for hours until late afternoon, because the atmosphere was great (we all became friends very quickly), our teacher was very helpful and gave us all the help and support we needed, and last but not least we were provided with all the art equipments, and we had the chance to try them, which (for me as a child) was amazing and very encouraging. This was the first time I tried to push my boundaries and learnt how important it is to try new things and be creative. I am very grateful for those sessions, because that was the first step towards my future as an artist, even though I didn’t know that back then. During my eight years in primary school I regularly entered art competitions and I usually went home with an award. It was an amazing experience, mainly because it gave me confidence in myself and my work. I also had the chance to travel around Hungary (where I lived) and attend the award ceremonies, where I could meet with other artists and art curators, which was an amazing experience at such a young age (I was only 10-13 at the time). I went to secondary school when I was 14 and, as I got very busy with my studies, I didn’t have much time to focus on art anymore. Another factor was that I wasn’t enjoying my art classes very much. The curriculum was much stricter, we were told what we had to draw and we had one or two hours to complete the given task. Most of my assignments were still-life, which I never enjoyed doing. Art remained my passion during my years in secondary school all the same, I was practicing at home, whenever I had time to do so. Photography became my other passion during these years as well. I never liked parties and club music, but I loved concerts and live music where I could actually see my favourite artists on stage. I got a job so I could save money and attend concerts in Europe. I felt like the world opened up for me, I saw how huge it is with all the possibilities around me. I wanted to document my trips so I took pictures of the places I visited. It was just a hobby back then, I didn’t even think about it as something I could do in the future. My life has changed completely in 2013, when I decided to move from Hungary to Ireland. Previously I visited this country a lot and I have fallen in love with it. Although it was the biggest adventure of my life (and now I can say probably the best decision I have ever made), the first few months were extremely hard and emotional. That was when I decided to go back to photography as I felt like I needed a tool to express my feelings so it will be easier to deal with them. I got my first professional camera and started experimenting with it. From the start I felt like taking pictures of things which were literally in front of me and creating “realistic” pictures are not what I was looking for. I was never satisfied with the finished work. I had loads of ideas mainly from my imagination I wanted to create, but I felt like I can’t turn these pictures in my head into reality just with the camera. I was looking for more effective ways to express myself, so I started using Photoshop to edit my images. I have fallen in love with the programme immediately. I knew, as soon as I started using Photoshop, I will be able to express myself the way I always wanted to, so I watched hundreds of videos and tutorials almost every day for a year to learn how to use the tools effectively. I was experimenting every day, made mistakes, started it all over again and made more mistakes. It was a very exciting journey, I enjoyed every minute of it, as I was doing something I was passionate about and learnt something from every mistakes I made during this time. After a year of learning and experimenting, I felt confident enough to finally start working on my ideas and turn them into reality. Every time a picture-idea came to my mind just closed my eyes for a minute, got a piece of paper and drew a picture of it, so by the time I started photographing I had a whole book full of sketches. In the “centre” of all of my pictures there is a model. I have always been fascinated by the human being, and how much a portrait can say without words. I knew from the start of my art practise that I wanted to express myself through portraiture but when I started photography, I was too self-conscious to ask anyone to be my model. As I mentioned before I moved from Hungary to Ireland and I had a hard time making friends at the beginning, so basically I had no one I could have asked to be my model. The other reason was that I wasn’t confident enough in my skills as I was still learning, and I felt like I wouldn’t have been able to work free from pressure if I asked someone to be my model. I thought the person would have wanted to see the finished work and I didn’t want to feel like I had to please someone. I wanted to create my own vision so I started taking self-portraits. It was very handy because I could take the pictures any time I wanted and it was much easier to create the picture in my head as I knew exactly what kind of mood I wanted to show, so I could position myself and change the facial expressions accordingly. At the beginning photographing myself was rather for a practical reason, but it quickly became my “diary”, a very strong part of my work. For now I can say I am confident enough to ask other people to be my models and I am very much enjoying these shoots. I sort of know when an idea comes to my mind if it will be a self-portrait or I want someone else to be my model. One of my hobbies is reading, so my images are often influenced by books I have read. I have loved reading since I was little, I am that kind of person who can read for hours and can get lost in a book completely. One of the most prominent books from my childhood were definitely the Harry Potter-series. I read Harry Potter and the Philosopher’s Stone when I was 11 and it had a huge influence on me. I am a big fan of the books ever since, as I have basically grown up with the characters of the story, and reading these books I experienced at the first time, what it is like when you simply can’t put a book down. I remember when I was reading the Harry Potter-series at the first time, I didn’t want to do anything until I finished them and I stayed up all night reading every time a new one came out. These books showed me how amazing reading is, and how much you can learn from a story. 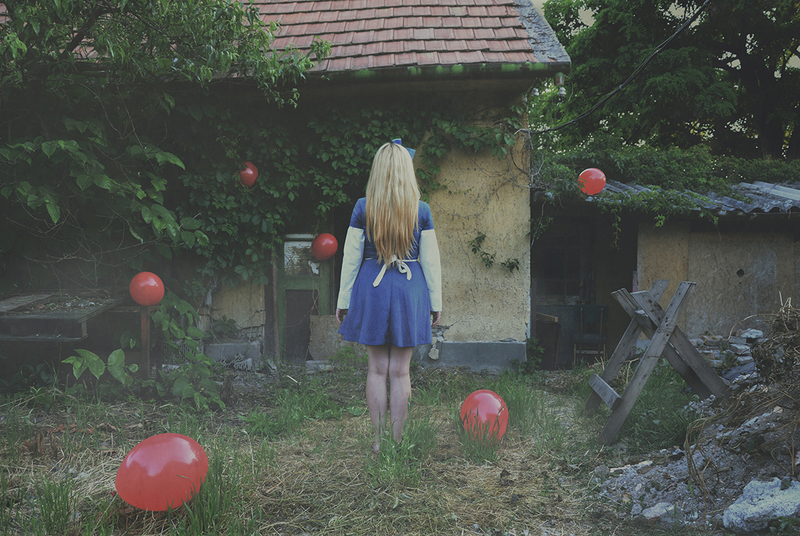 My very first photo series, Lost in a Dream based on the novel, Alice in Wonderland by Carroll Lewis. When I was a little girl, my mam read this book for me and it absolutely freaked me out. 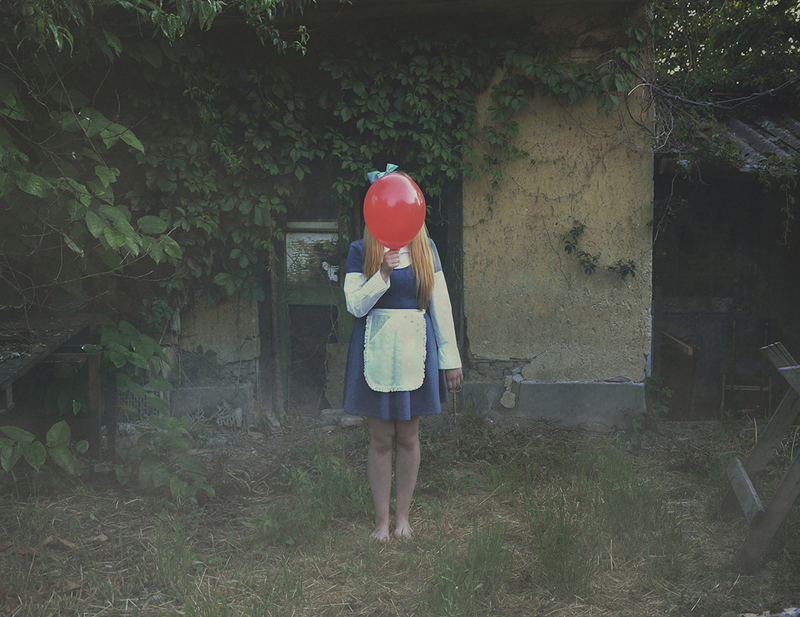 Falling into another, strange world not knowing anyone, not even knowing where Alice is, terrified me. Since then I have re-read the story and a part of me, that little girl inside, still finds it scary. My memories, more like feelings, came back reading the story many years later. It was so inspiring, I wanted to embrace and express these feelings and visualise this strange world the way I imagined it. Through my images I show the story from a completely different point of view: What would it be like to be lost in a dream? Is it real or is it just in your head? This was the first time I asked someone else to be my model. When the idea came to my mind I knew straight away I wanted my sister to be my model. I felt like it is very important, because although my sister is a grown up woman now, she will always be my little sister and represent the innocence in this world. I think passion about reading and books gave me a perspective for my work as well. As I mentioned before I always use a model for my pictures, who can be identified as “the main character of my story”. I want to show my vision through my character’s eyes, the same way when reading a book and “experience” everything through the lead character. I often look at paintings as well to find inspiration, while creating my pictures or even before I start a project, to define how I will achieve a certain look and create a mood through my image. I believe, looking at my work, the impact of this medium is apparent: my pictures are very “painterly”, the overall colour tone of them is highly manipulated, there are no real blacks or whites, the mid-tones are very dominant. I often add fog to my pictures in post-production, which helps me create a dream-like scene as most of the time I visualise ideas from my imagination. I believe I decided to do fine art and work with Photoshop a lot, because of my passion about painting. When I started using the programme I was surprised how similar it is to physically painting with brushes and actual paint. The idea of mixing the two media by editing my raw pictures in Photoshop gave me endless possibilities as an artist. Another very important influence on my photos are my own feelings and experiences. I often talk to my family and friends and use their experiences to get inspiration for new projects as well. Very close friends of mine are fighting with depression and I have decided to create the series, Bubblewrap based on their experiences. I feel like mental illnesses and depression is sort of “romanticized” on social media to the point where it is almost a positive, interesting, desirable thing to have which I don’t think is right at all. I know it is a subject people tend to ignore even without knowing much about it, so I would like to show how serious it is, and encourage people not to be afraid asking for help. It is very important for me to create my pictures based on things I can completely relate to, because I feel like, as my images are conceptual, the story behind them is extremely important, and this is the only way I can create something “real”. Photography is not only my tool to express myself, it is a sort of therapy for me, a way I deal with bad things. As my images are very dark people often describe them as “odd” and “creepy”, thinking I must be sad, which is not true at all. Even though looking at my images at the first time could give people the impression of sadness and loneliness, the message I want to convey is always positive. How would you describe the art scene in your area? Is this possible to compare somehow Hungary and Ireland? I would say I am not the right person to give an opinion or compare the art scenes in Hungary and Ireland, as I studied Art and History of Art in primary and secondary school in Hungary, and did my photography studies in college in Ireland. I started doing photography as something more than just a hobby in Ireland and had my first group exhibition in this country. I have to say I definitely got a chance to have more exposure in Ireland and other European countries (for example one of my images was part of a group exhibition in Rome last month, and two of my pictures will be display on a three days exhibition in London, organized by Sweet ‘Art in September), than in Hungary. I feel like fine art, photo manipulation and other, rather artistic aspects of photography is something quite new in Hungary, so it takes time for people to accept it as a form of art, therefore I think at the moment, as a fine art photographer, I don’t have many opportunities to show my work in Hungary. In my opinion, based on my personal experiences, education with more opportunities for self-expression should be given to students (starting from a young age). The curriculum should be a little bit more open-minded, so it would be enjoyable to students and would give them the chance to try different things and decide what they are interested in. As I mentioned it before I had a great experience in primary school, mainly because I had a great art teacher and I attended an art group every week. As far as I know the same session was held with another teacher on a different day every week. Students attended that session didn’t enjoy it as much as we did, because they had to create what their teacher told them to, so I believe making a difference, guide students and give them the chance to express themselves highly depends on the teachers, and I think this statement is true everywhere, not just in Hungary. My success in art competitions and all the positive feedback I got in primary school gave me confidence in myself and I didn’t only loved art but I felt like I had the chance to be a successful painter. When my teachers asked me what I wanted to do after finishing school I told everyone I wanted to be a painter. Most of the time I got a discouraging answer, saying I would never be successful as a painter and I should be thinking about going into another direction and do art as a hobby. I know they only kept my interest in mind and tried to help me, but I do think teachers should encourage students to be whatever they want to be. There might be certain career fields where you have to try much harder to be successful and earn money, but I believe everything is possible if you believe in yourself and don’t give up on your dreams. I had a chance to go to exhibitions and talk to other photographers in Ireland, when I started college last year. Although, as I send my work to galleries and magazines online, I don’t really see the advantages and disadvantages of my location as such, but I do feel like for me as an artist this country is the perfect place to be, because it gives me loads of opportunities to get exposure and recognition in the art world. I also got loads of help and advice from my lecturers, which I am very grateful for, because as a new artist their experience was something I needed, especially when I started promoting my work. I felt like even if they gave me negative feedback on my projects sometimes, they always offered help to overcome the problems, and they pushed me to become a better artist this way. All in all I have to say, I get opportunities for exhibitions and publications from Ireland and others countries rather than Hungary. I think fine art photography is still something very new in the art world and many people still don’t accept it as a form of photography. I believe I have a unique style and my work is different from general photographic work as such. I got more recognition and exposure in areas where this kind of art is accepted and I think it is just a matter of finding the right place and platform for my art work. In your opinion what does photography mean in contemporary culture? I think photography definitely means the opportunity of self-expression more than anything else in contemporary culture. Although the question is always relevant: is photography art or just a tool for documentation? As a fine art photographer I am very happy about how much photography as an art form improved and developed in the last decade. I think, considering how rapidly technology improving nowadays, more and more people will see the opportunity of creativity and uniqueness in photography as such. Although in my experience in certain areas conceptual photography and photo manipulation is still not widely accepted and practiced. I do think that most of the time the fact that an image is Photoshopped is associated with bad photography. I personally was never criticized for my images being highly manipulated, but I saw people commenting on other photographer’s work, saying the photographer should learn how to take pictures so they wouldn’t need to manipulate the image so much in post-production. Although generally speaking my work might be closer to some kind of visual art than photography, the reason I use Photoshop is not the lack of my technical skills. The reason is that I feel like by editing my pictures I can visualize my ideas in my head and turn them into reality and fully express myself, and I am sure many other people feel the same way. I remember when I was growing up, in my family, photography was for documenting the most important moments of our lives, to remember them the way we experienced them. It was simply a tool to record what was in front of us. I am glad that in the last few years photography became something more, and I hope it will keep improving as an art form. What is the best book you’ve recently read? The best book I have recently read is definitely A Monster Calls by Patrick Ness, which I just finished two days ago, although this wasn’t the first time I have read it. I bought this book 6-7 years ago, when I was in secondary school. I started reading it in the morning and couldn’t put it down until I finished it in one sitting. It remained one of my favourite books ever since and I have re-read it since then several times. The book is about a boy, Connor whose mother is fighting with cancer. A monster visits him one night to tell him three stories, and after its stories Conor has to tell his own. The monster slowly reveals the truth about how the boy feels, even though he is trying to hide the truth even from himself. The story is very dark and mysterious, Patrick Ness created a unique, sort of unsettling atmosphere through the whole book, which makes it unputdownable. At the end (without saying too much, and ruin it for those who have not read it, but who are intend to do so) Conor has to confront his nightmare and admit the truth to himself in order to be able to deal with it and carry on with his life, without letting the unchangeable events break him completely. I think it is needless to say that the ending is heart breaking and leaves me in tears every time. One of the main reasons this is one of my favourite books (beside the amazing writing, and compelling and unique story) is that the monster is a metaphore. Basically the whole story was created by Connor, because he had to face certain situations and feelings he had never experienced before. I believe my photographic work is very similar to this approach as I often use negative experiences to create a piece. I could say photography is my ‘monster’ I create every time I have to face a hard situation, in order to deal with it. For me it is very important that people can relate to my pictures. 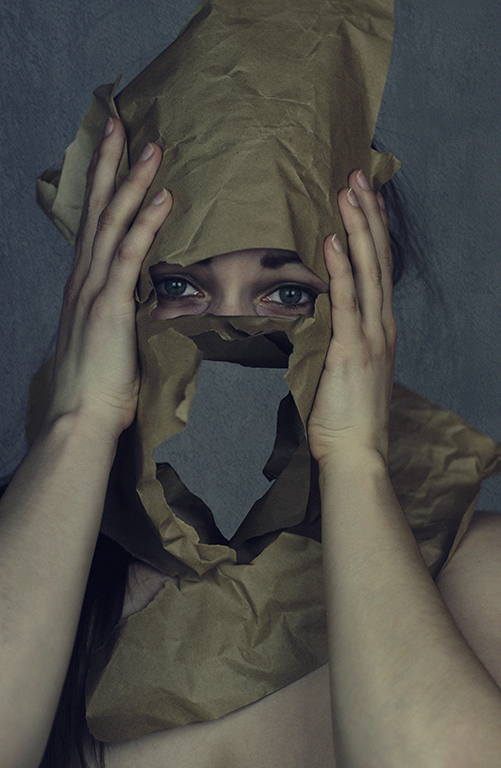 I often cover the face of the person I am photographing in some way, indicating that the model is not as important as the message I want to convey. I have always loved fantasy books, where the writer has the possibility to create a whole new world without the limits of the real world. The endless possibilities and the mystical, dark atmosphere in these books have always amazed me. I believe photography gives me the possibility to create the same mood by building and capturing my own fantasy world without having to say or write a word. My art is often associated with death and sadness, because of my style of photography. I certainly want to create a sense of loneliness and darkness thorough my images to make people think about the story behind the image in front of them, but I also want to show that bad experiences and feelings are unavoidable and necessary to develop, grow and shape as a human being. These things make us humans, make us who we are. I think A Monster Calls is the perfect example of that and shows that darkness and strange are not necessary bad things. This book gave me an idea for my final college project as well. I had to present a project called “Possessions” at the end of my college year, and I was struggling to find the right idea to start with. I was very happy when I was given the task because it was completely up to me how to approach it. It was the first time during completing my studies I felt like I could do what I really liked and put my personal style and ideas into my project. I definitely wanted to stay “true to myself” and instead of shooting actual objects, physical possessions, I would have liked to create something rather metaphorical. A Monster Calls gave me the idea of Letting go Possessions. Through my project I showed that exact moment when people realise that something or someone is gone and never going to come back, either because they have no other choice or willingly let go of something because they know that it is for the best. The first thing I had to determine before I even started shooting was what the possession is in my project. My “possession” was the human being, the human mind, how experiences, memories make the person who they are. I approached the subject from a different point of view: possessions are important because of sentimental reasons, they are more than just objects: they are memories, experiences, symbols of friendship, love, loss, success. In the centre of each image there was a simple object, a possession as such, but they were representing the reason what makes an object so important: the experience or the memory behind it. As I definitely wanted to shoot these metaphorical scenes it was very hard to keep the consistency throughout completing the project. At the end I decided to use actual paint and paint a line running over each of my images. At the end of the year we all presented our project and I got many positive feedback and comments which I was very grateful for. All in all I feel like A Monster Calls inspired not just this project but keeps inspiring me all the time. It is one of my all time favourites, because it is very similar to my style as a photographer in terms of mood and representation of feelings and fears. Name three artists you admire. To be honest I don’t really follow any photographer’s career very closely. On one hand, especially when I started my art practice, sometimes looking at more experienced artists’ work was a bit discouraging, because I thought I was never going to be as good at shooting or editing as they are. On the other hand, I love looking at other people’s work, I think it’s amazing what can people create using their imagination and technical skills. During my first year of college we watched a video every week of a famous contemporary photographer, to see how they shoot and edit their pictures and get to know a bit about where they get the inspiration from. That is when I was introduced to David Lachapelle’s work and he immediately became one of my favourite photographers. I like the way he creates a sense of craziness by using vivid colours, which don’t match, by positioning his models in a way it gives the image a sense of movement. 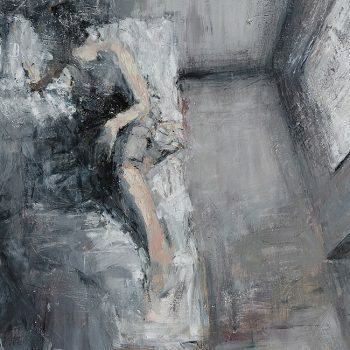 I feel like, looking at his pictures, somehow nothing makes sense and that is exactly what makes his work fantastic. I am a huge fan of his celebrity portraits. I believe an artist always have to come up with new ideas and regularly provide their audience with fresh and unique content. David Lachapelle’s celebrity shots show the personality of the model rather than showing them in front of a generic background, photoshopped into perfection (just like thousands of other celebrity portraits we all see every day in magazines or on social media). I was watching the first season of Master of Photography on Sky Art this year, where David Lachapelle was one of the mentors of the contestants. I think the way he was talking to the photographers showed how amazing he is as an artist and as a person as well. He gave the contestants advice on every problem they had, helped them improve their images, also he encouraged them by pointing out every aspects of the images he liked, which is I think very important for new artists. I got to know Gregory Crewdson’s photographic work in college as well, while I was doing a research for one of my projects. Similarly to David Lachapelle’s work I immediately fell in love with his images as well. I watched many videos of the actual shooting, because I wanted to know how he creates his amazing images. I love the way he plans every single aspects, every little detail of his photographs before the shooting, and I think it is amazing how much preparation is needed for his photoshoots. A set could be built for weeks for only one image, not to mention the fact, that a whole street can be closed for hours, so he has the chance to create the perfect scene for his picture, exactly the way he imagined it. Another reason I admire his work is the fact that he is using a large format camera, so the details of each image are absolutely amazing. A few months ago I had the chance to try and shoot with a medium format camera at the first time. Although it was an amazing experience, it is definitely not something I would do, shooting with my digital camera is my real passion, but I love to see other photographer’s work, using different types of equipments. I admire Gregory Crewdson, because he has outstanding skills and he is definitely one of the best in the field of manual photography. I definitely have to mention Alex Stoddard, as an artist I admire. I saw his pictures maybe three years ago, when I started experimenting with my first DSLR camera and Photoshop. I was amazed by his talent and creativity. Looking at his images was very inspiring back then, as I only started learning photography and how to work with Photoshop, and it made me realize if I work hard enough I can turn all my ideas into reality. The other reason I like his work is because in most his images he uses himself as his own model. The majority of my work is self-portraits as well, so it was very interesting to see how he created his images as at the beginning of my art practise sometimes I found it very hard in certain situations to “jump into the picture” instead of using a model. There are so many things I have to pay attention to when I am shooting: focus, lighting, composition, etc. It is obviously much easier when my model is in front of me and I can give them instructions and change the settings on my camera before I take the shot. Even now, taking self-portraits are much harder, but a few years ago, when I started using myself as a model, it was very frustrating, because I didn’t know how to overcome certain problems. His work helped me a lot and I learnt many small, but very useful things from the videos of his photoshoots. I think the first thing I have to mention in relation to the art world which I don’t agree with is that, in my opinion new artists don’t get enough recognition. I feel like I am very lucky because since I have started promoting my work I got many positive feedback, my images were chosen to be featured in magazines and I had the chance to be part of exhibitions in Europe and America. 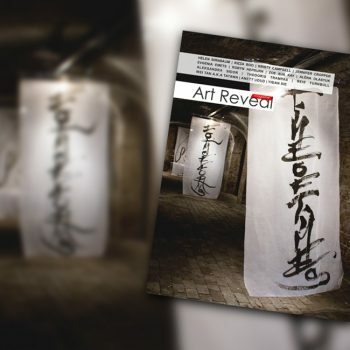 Even though there are organizations and magazines dedicated to help new artist to gain recognitions (they just have to find the right platform to promote their work), I do think there should be more magazines like Art Reveal Magazine for example. When I got to the point when I was ready to promote my work I was advised to send my images to open calls to gain recognition and build up my CV in order to become more desirable as a photographer, then I could start sending my portfolio and Biography to galleries. Unfortunately in my experience most of the open calls are the same: artists have to pay when they are submitting their work. The first few competitions I entered was like that, I had to pay in advance and most of the time I got an e-mail that my work didn’t get selected or I didn’t even hear anything back at all. I know that’s how galleries operate as they use the submission fee for organizing the event, but I think this kind of rejection can be very discouraging for artists, not to mention that an artist’s budget at the beginning of their career is most likely to be limited. 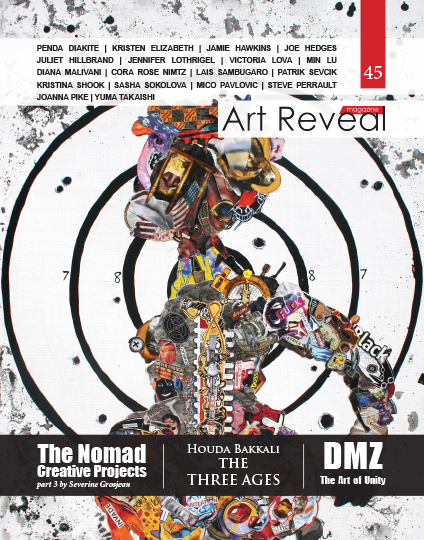 Fortunately there are magazines like Art Reveal Magazine, which work a different way and artists only have to pay a fee once their work has been selected to be featured in the magazines. I definitely believe there should be more magazines and art organisations like that, dedicated to new artists because I found that the hardest thing was to find a platform for my work. There is another thing I feel like I should mention, although it is not necessary something I dislike about the art world, it is just something I experienced as a fine art photographer. I think if you are a photographer working in a certain genre (in my case fine art), it is much harder to get exposure for your work. Just to refer back to art competition, before I enter a contest I usually check the previous winners (if it’s available on the website), and most of the time I decide not to enter because the winners are all from the same genre and I think I don’t even have a chance to succeed. I believe people might not accept certain kinds of photography, because they are still very new to the art world. The last thing I would like to highlight is in relation to social media. My personal opinion is that nowadays it almost doesn’t matter how good someone’s work is as long as they are active on social media. If someone follows thousands of people, they are going to gain thousands of followers back. A few months ago I created my first social media account dedicated to my photography on Flickr. I think Flickr is a great site to promote my work and get feedback on what I should improve and what people think about my work in general. As I said it is just my personal opinion, but I noticed that artists with amazing portfolios only have a few followers, and people who obviously need more practise on their photography or editing skills in some cases has many followers just because they follow loads of people. I really like social media sites, where I can engage with other artists and look at other people’s work. If I have a few minutes during the day I always spend it on Flickr, but I simply don’t have time to spend hours commenting other people’s work and follow them just to get followers. Even if I had more free time I rather spend it on working on my pictures, creating something new. I had so many positive experience since I have started my art practice, it is impossible to list them all. One of the things I like about the art world is that art really connects people. As I said social media sites are great platforms for promoting art and to be in touch with the audience. It is just amazing when people I don’t even know say that they like my work, that they take the time to look at my images, give me feedback and advices on how I can improve as a photographer. It is great that there are magazines and organizations to help artists start their careers, giving them opportunities to show their work and get recognition. The London based art gallery, Sweet ‘Art selected two of my photographs to be part of their upcoming show, Femfest. 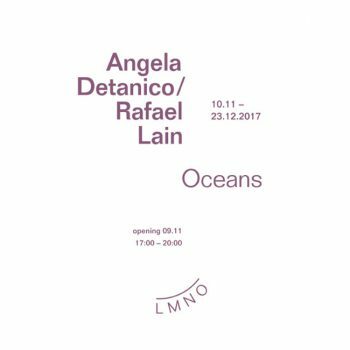 The exhibition will be held in London next month, and in addition to the exhibition, it will include a film night, live art performance, workshop and library. 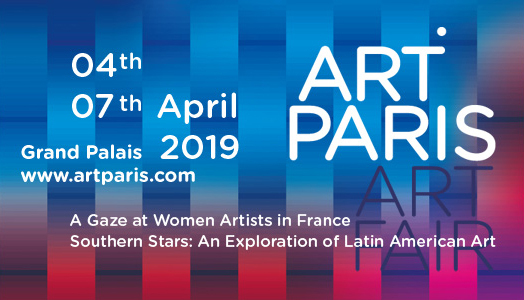 I am very excited to be part of this show, it is a great opportunity for me to show my work to a wide range of audience visiting the three days event. Two of my photographs have been selected to be featured in the August Edition of A5 Zine Magazine and the August Edition of Average Art Magazine. The magazines’ goals are to draw attention to self-representing artists and will also be sent to a number of different art organisations. I am delighted that my work has been accepted to be part of these portfolio magazines many times in the last few months. I felt like it was time to put my work out there, so a few weeks ago I created my own social media sites dedicated to my photography. I am grateful for all the comments, feedback and advices I get every day and I am happy that I can engage with people who like my work; it is a great experience. I have completed my Certificate in Photography at Griffith College, Dublin in May, and I will graduate later this year, which means I will become a professional photographer. In the future I definitely want to keep working on my ideas and turn them into reality. I feel like I am very inspired and have many ideas I would like to work on, but it takes time and work to shape these concepts into something physical. I feel like the possibilities are endless and I feel very excited because I have definitely found my way as a photographer and I can’t wait for what the future holds for me.